Anyways. To make this recipe you are going to need veggie noodles. 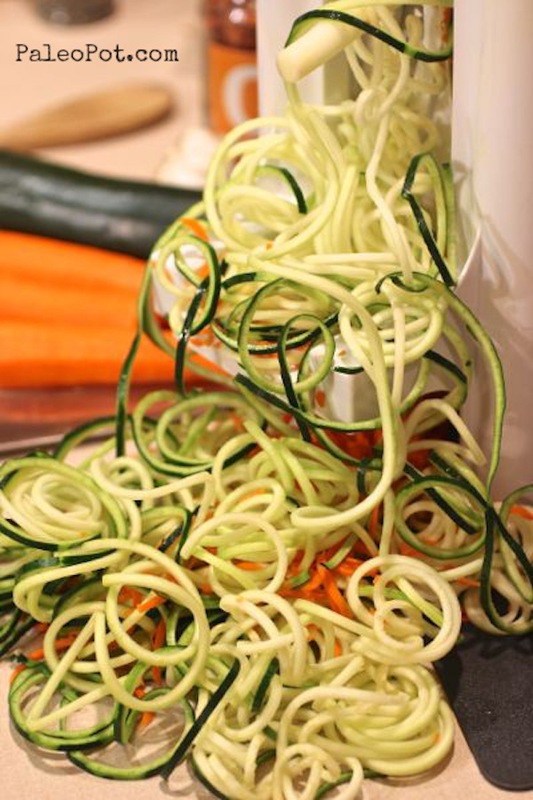 You can do this on the cheap by just using a knife (and taking lots of time), or using a vegetable peeler (not as pretty but it works), but Ideally you’ll want to spend between $20 and $30 on a spiral slicer to make really really cool veggie noodles. If you are loving the paleo lifestyle, and miss your noodles, I suggest you drop the bucks on a spiral slicer. You won’t regret it. I’d recommend you get the Paderno World Cuisine Tri-Blade Spiral Slicer. It is the one I use and is pictured below. Everyone I know that has one not only falls in love with it, but also goes on an initial rampage turning veggies into noodles, more noodles than humanly necessary. Yes, it’s that life-changing good. I seasoned and browned my chicken thighs first. Chicken nestled into the Thai sauce. How you should “nest” your noodles in your slow cooker. 6-Quart Crock Pot or Instant Pot set on Slow Cook / Regular with the Instant Pot tempered glass lid. 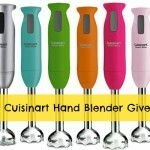 This Spiralizer bundle if you want a smaller kitchen footprint. You need one of these to make the Veggie Noodles! This is going down soon. ERMG I love pad thai. Love it! Soo good! Thank you! 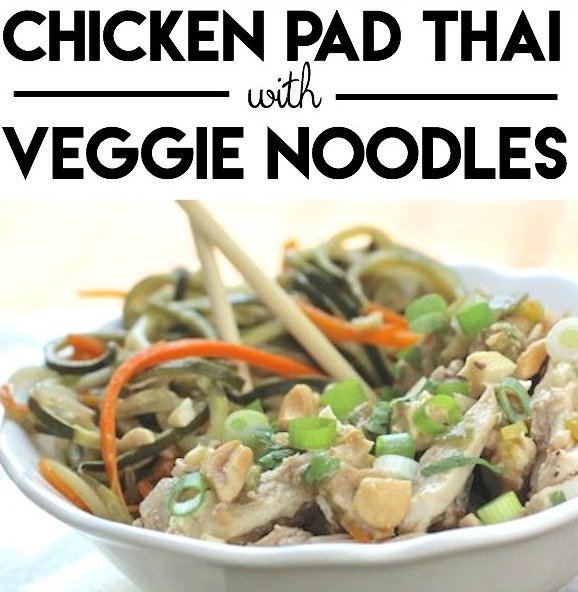 I was reading your article in your titled” Paleo Slow Cooker Chicken Pad with Veggie Noodles” in your site ” https://paleopot.com/2013/05/paleo-slow-cooker-chicken-pad-thai-with-veggie-noodles/” I absolutely love your recipe.Looks amazing and very delicious. I think the readers of my iPad would love it too. This recipe is sooooo delicious! I’ve shared it with family members who aren’t paleo and they love it too! Best pad Thai EVER!!! LOVE, LOVE, LOVE! Only thing I did different is adding a head of cabbage (I 3x the recipe) and added sweet potato “noodles” quickly stir fried in sesame oil then added water for quick “wilting”. This is wonderful!!! I don’t quite get how you did the sweet potato noodles. They’re hard when you get them…so you fried them when they were hard and then added water? Or vice versa? And then added them to the crockpot? I’d love to know how you did this! I LOVE this recipe!! So yummy and so ridiculously easy! My hubby even loves this meal!! I love throwing everything in there and smelling it through my house while I’m working! SO good! Thanks for every other excellent post. Where else could anyone get that type of info in such a perfect manner of writing? I’ve a presentation subsequent week, and I am at the search for such information. I’ve made this several times with great result. I treat it more like a noodle soup and take it to work in my CrockPot travel warmer. 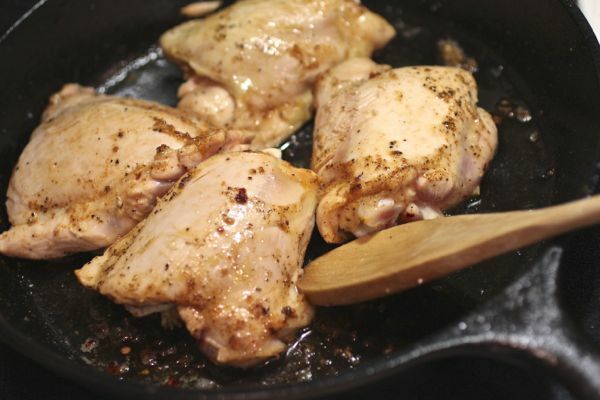 Do you always cook like this and eat this well? Wow, again, I’m amazed! 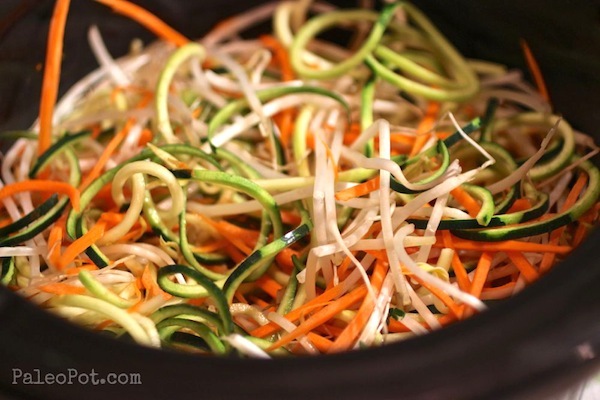 I really need to get a spiralizer! 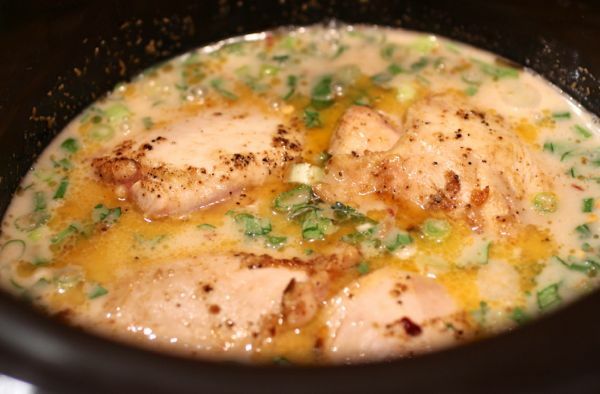 Thanks for sharing this recipe in my 125+ Gluten-Free Slow Cooker Recipes post! This recipe is amazing! I had no idea it was going to be so flavorful! I didn’t use any fish sauce and it was still delicious. I used cashew butter for the nut butter. It is spicy hot like Southeast Asian food, too much for kids, but the adults loved it. I didn’t have the carrots, but made noodles out of a yam with the spiralizer, along with the zucchini noodles. I will definitly be making this again. Thanks for the wonderful recipe! This is awesome! Can’t wait to try…I don’t have a spiral slicer (yet), but I make veggies noodles by creating a chiffonade of collard greens (ribs removed) and blanch for just a few minutes in boiling water. The key is making them super thin! This came out delicious with a good kick. So glad I decided on this recipe today!! Thank you! Yum! 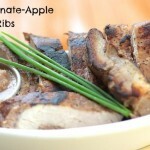 I made this tonight, and it got a big thumbs up from my picky, non-paleo hubby! I made this tonight for dinner. It was so good. 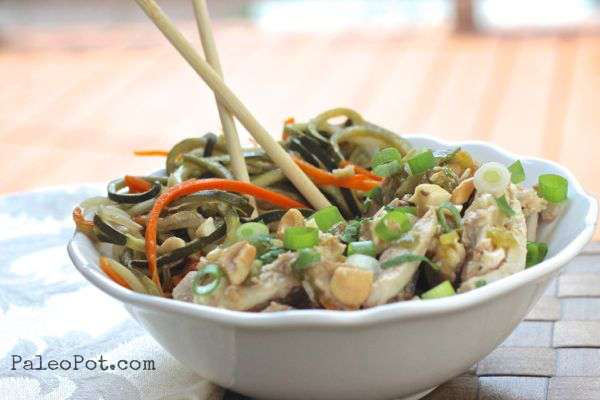 I used Buckwheat noodles cooked in chicken broth instead of veggie spirals. Will definitely make again. Cooked the chicken and ingredients in pressure cooker. I just made this and was so pleasantly surprised! I don’t make a lot of slow cooker recipes, but I had all of the ingredients on hand and two gigantic zucchinis that needed to be used and it was absolutely perfect. The only thing I did differently was to reduce the sauce in a pan afterwards (to thicken it up) before adding it back to the noodles. Looks delicious and I’d like to try it tomorrow. Wish your recipe had a printer-friendly version so I could save it ~ unless there is a “print” button and I’m missing it. it really looks delicious, I’m going to try this at dinner. Thanks for sharing this recipe. I Pinned it on my Pinterest. Rookie chef here! I’ve made this recipe twice and the flavors are absolutely amazing. Do you put the noodles in the Crockpot and cook them for the same amount of time as the chicken or should they be added halfway through? I ask because my zucchini noodles and other veggies turn to mush after 5 hours in my 6-qt slow-cooker. Any feedback would be very helpful. Thanks! Try steaming the zucchini noodle separately.